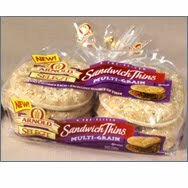 Have you heard of ARNOLD Sandwich Thins before? Click on that link to go to their web page to see the different varieties. I got these multi-grain ones from Wal-Mart. Hint: They are $2.50 at Wal-Mart, but at Sam's Club you can get 16 instead of 8 for $4. Just putting that out there. I got the smaller one though because I wasn't sure if we'd like them. This is the easiest dinner I ever did make, and it was really good. 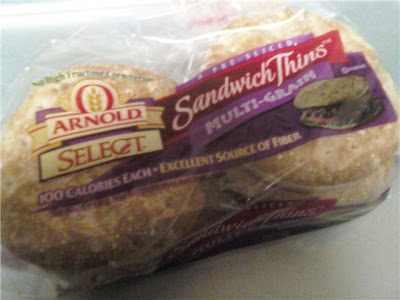 The sandwich thins are actually pretty healthy...only 100 calories per bun and 5g fiber each. 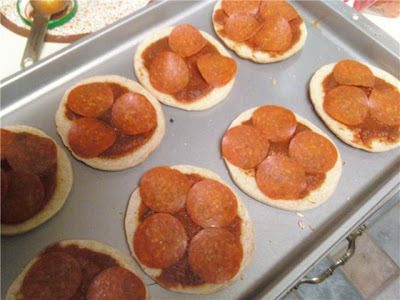 Check out our mini pizzas. 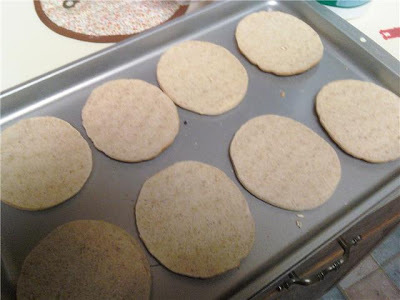 This is four thins/buns, or half of the package laid out open facing on the cookie sheet. Add about a tablespoon and a half of pizza sauce. Put your toppings on however you prefer. I can never remember if the cheese goes first or if the meat goes first. Before baking. 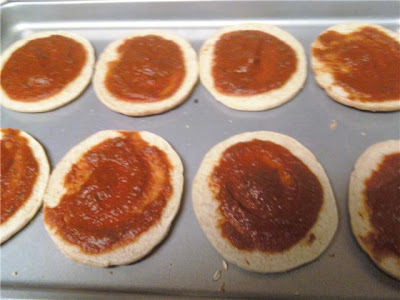 I put them in at 350° for about ten minutes. 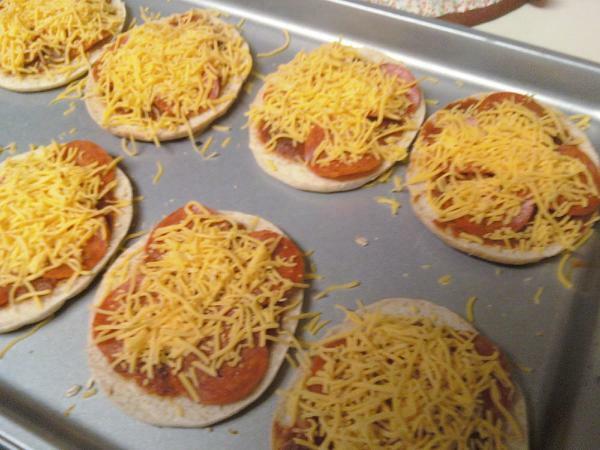 And you have mini pizzas, and a dinner that was ready in around 20 minutes. You can't beat that. 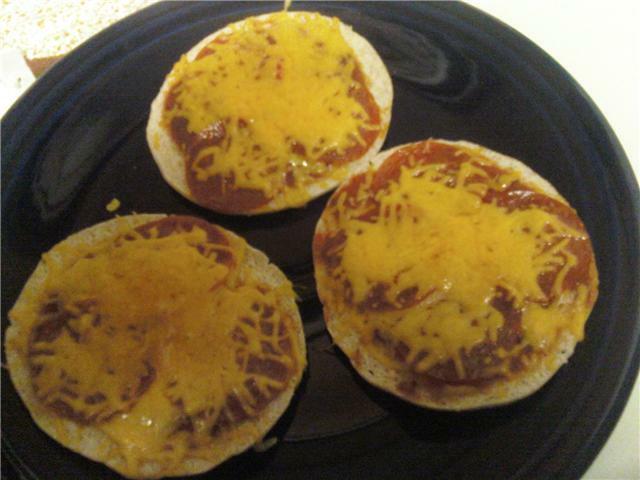 Yes, we have cheddar cheese on our pizza. We got a hundred pound bag of cheese and I refuse to buy any other kinds while we have the enormous bag in our fridge. It doesn't taste any different.